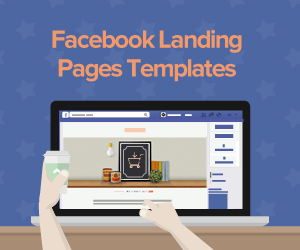 In the part 1 of this series, we discussed 5 of the best sample landing pages and the positive points of each of them. 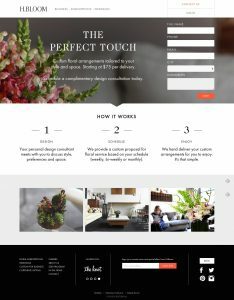 We have tailored more enticing examples to inspire you and help you put together an A+ landing page. 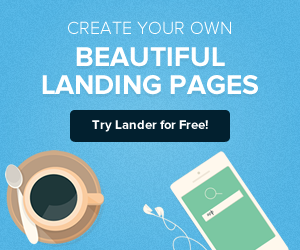 The WebDAM landing page has everything a good and high converting landing page should have. It keeps a 100% attention ratio by not having any other clickable links and no navigation bar. The blue background of the form makes it stand out from the hero image behind it . The prominent orange button with a small arrow make it easy for customers to convert. 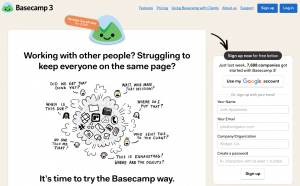 There are two good things about Basecamp that make it a good example. First, the arrow pointing towards the form directs visitors’ attention towards it straight away. Second, if you scroll down the page, you notice that the form remains fixed on the monitor. That’s a clever way of keeping the form above the fold at all times and reducing friction in case a visitor decides to sign up while reading the content further down. 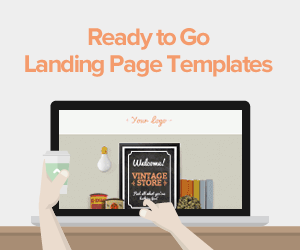 If you need an example of a long landing page that looks perfect, WebProfits landing page is one of them. By putting a one-field form above the fold with a prominent background that makes it standout, reducing friction and make it easy for visitors to convert. The headline is catchy and the image gives the visitor an idea of what they will get when they convert. Rest of the page gives a lot of detailed information about what WebProfits does and what do visitors get when they convert. 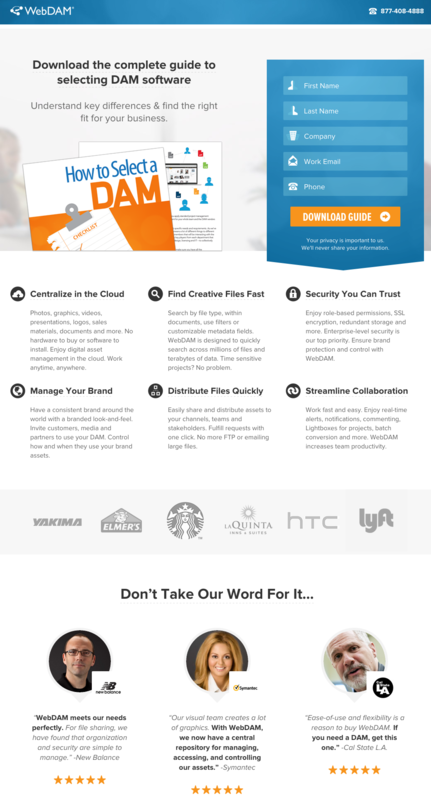 The awards and certificates plus testimonials all make this landing page a great example. One of the best things about this landing page is the strategic CTAs that are placed throughout, which all lead to the same form above the fold. 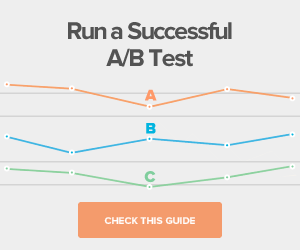 This landing page does so many things and gives so much information but adheres to the basic rule of landing pages: There should be one conversion goal per page. 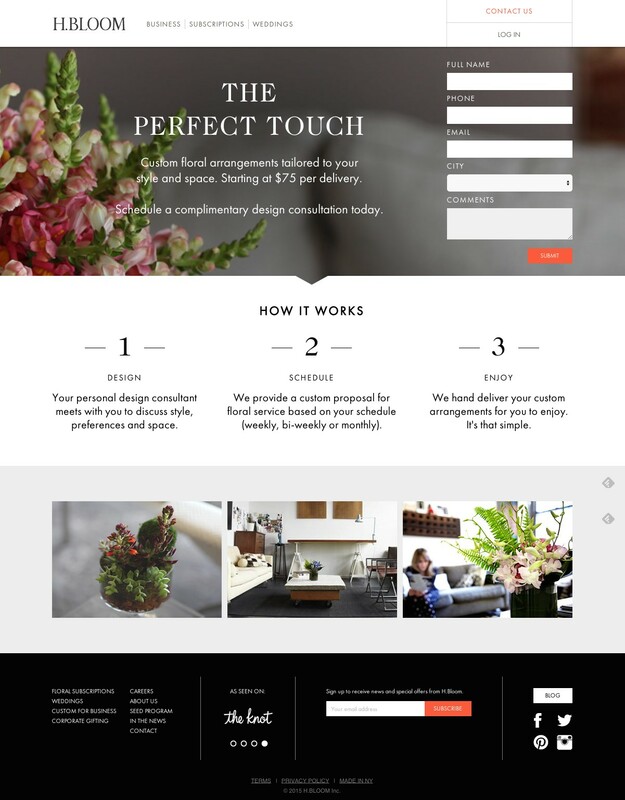 A beautiful landing page that booms the attention of a visitor with visual elements? Then H.Bloom get started page is something to get inspired from. 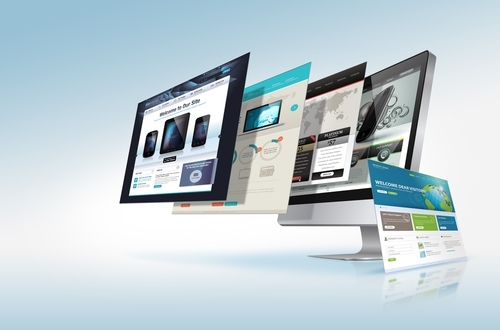 The high quality images add beauty to this web page while the simple form above the fold reduces friction in converting. Moreover, the clear and concise information below the form explain what happens when visitors convert. 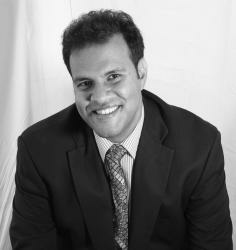 The images further down do a good job of giving the visitor an idea of their service. 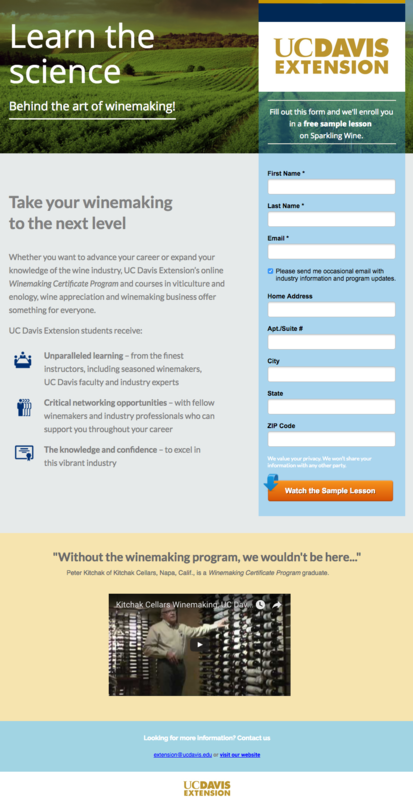 This UC Davis web page is a great example of a targeted landing page. 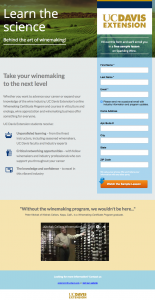 This landing page is driven towards visitors who are interested in their free sample lessons. Everything about this landing page is a top notch. There is no navigation bar and not even a menu in the footer. The only links to their website and a contact us page are further down and not distracting at all. Second, the hero image makes this page beautiful and grabs the attention of the visitor. The opaque blue background of the form is an extension of the hero image. This is a great way to give a directional cue as opposed to obvious arrows. The bright orange button plus an arrow are additional directional cues for the visitors. It only talks about one thing: what you get when you convert. The video further completes this purpose. 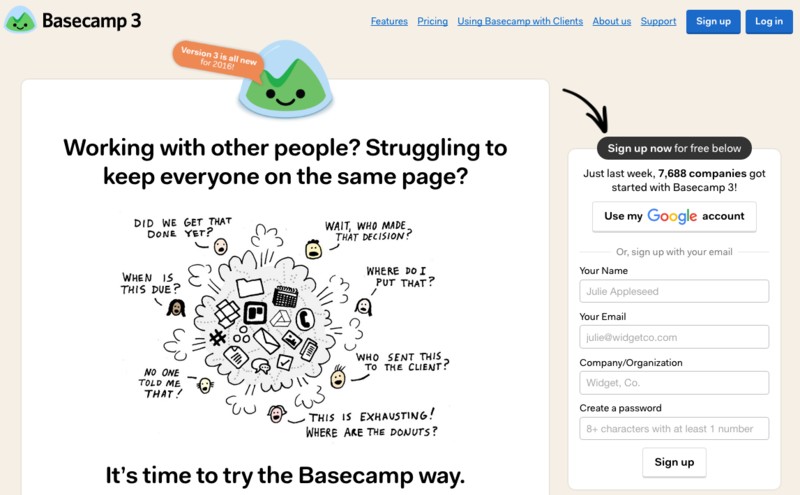 There you have it folks , 10 of the greatest landing pages.